With the warm season approaching it's indispensable to have everything we need to enjoy some good fish. 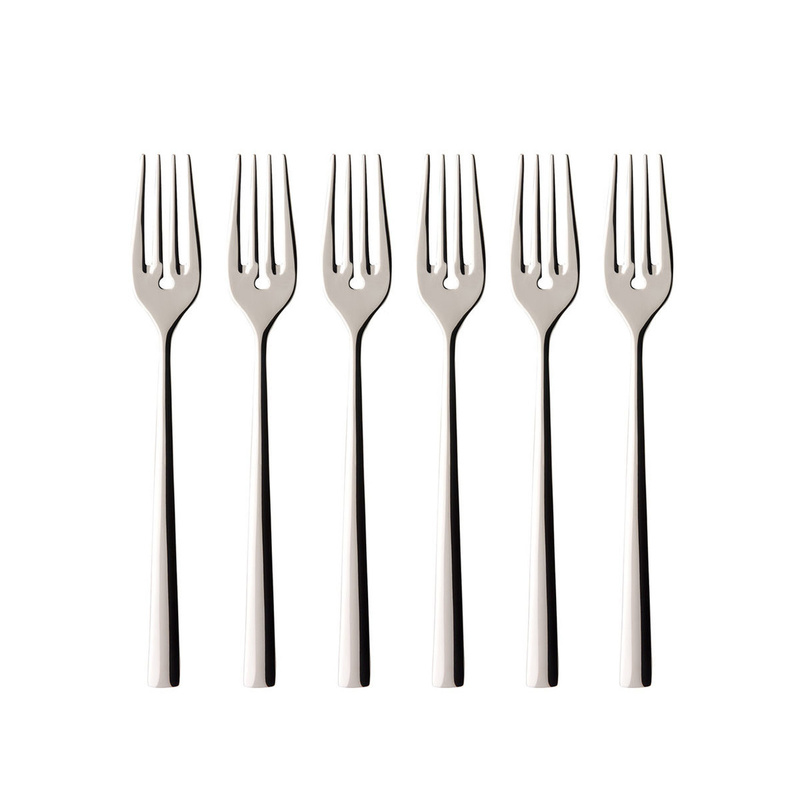 This set of six forks is just what best suits the upcoming season. We are talking about a unique set of six forks by Villeroy and Boch fish. It is a very refined service in 18/10 stainless steel, suitable as we said to taste fish, given their typical elongated shape. These forks can easily be combined with any other cutlery we have at home. You can not be mistaken on the origin of this cutlery, since Villeroy & Boch has decided to avoid misunderstandings and problems by identifying both the package and the single pieces with its distinctive brand. As we said, these forks are made of stainless steel that ensures the maximum hygiene as well as durability; this cutlery set that will have a prosperous and long life given its high guaranteed quality. These fish forks are similar to regular forks, but they are distinguished by a slightly flattened shape. 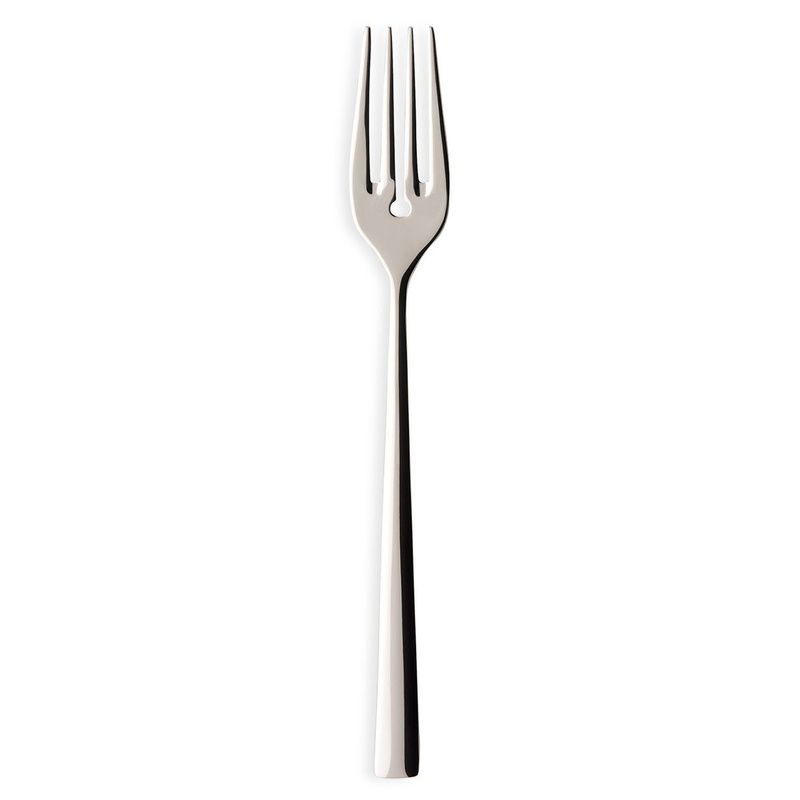 In addition, the four prongs of the fork do not all begin on the same line, but the central space is more excavated. Also, fish forks are shorter and wider than classical forks. And they are required especially if we serve a fish with fish bones: in this case the guests are invited to use these forks to easily clean the fish. Fish forks will be placed on the left of the plate, and they will be used with the right hand, to fillet and clean the fish. The position of the fish fork is next to the regular fork, with the blade facing the plate. They are very refined and elegant, but are also very safe and durable so they can be easily washed in the dishwasher. They can be used for simple dinner with friends or for an important gala dinner.